The 209th release on Greece’s Deepsessions Recordings is out this week and it features Marwan Jaafreh returning to the label for his second appearance. 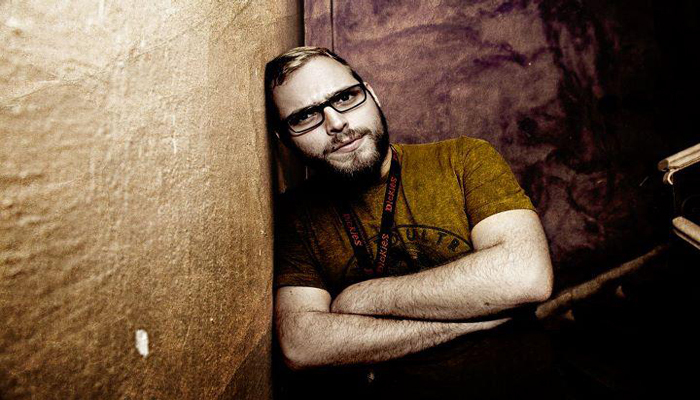 The Ukrainian producer now based in Amman, Jordan first appeared on Deepsessions with his ‘Nirvana EP’ which was released in November of 2012. 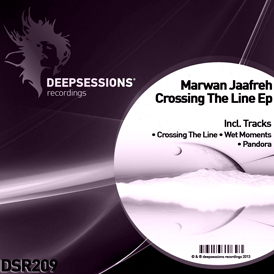 Marwan’s new EP for Deepsessions is entitled ‘Crossing The Line’ and it comes with three brand new original productions. The ‘Crossing The Line’ original gets things underway with a tough energetic groove that’s accented with some smooth melodic lines. The melodies come to the forefront quickly and a cool hypnotic vibe hovers over the tough framework. The main breakdown is epic and focuses on some scattered melodies, trippy electronics and a quick build which propels the energy forward even more. The track climaxes with layers of interwoven melodies teasing the senses as the massive groove keeps the floor rocking. The second track ‘Wet Moments’ comes with another gorgeous melodic vibe but with a slightly deeper more melancholic feel than ‘Crossing The Line’. The soft keys and subtle pianos paint a gorgeous soundscape during the drop and when the groove kicks back in along with some soaring pads the vibe is amazing. Perfect for the trancier progressive floors out there. The EP is closed out with ‘Pandora’ which begins with a similarly tough groove as the previous two cuts. A set of muffled stabs along with a catchy melodic lead soon fade into the mix for a somewhat ominous sounding vibe. The breakdown here is certainly the moodiest on the EP with dark undertones, spooky electronics and almost apocalyptic sensibilities. The break concludes with the romping groove and ominous melodic lines crashing back in for what might be the biggest moment on the EP. Fabulous sounds from Marwan and another good release for Deepsessions.